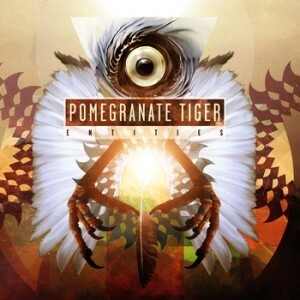 If Animals as Leaders and Scale the Summit would ever come together, Pomegranate Tiger would be the end result. Came for the name, stayed for the prog. We’re seeing a trend of bands coming up with string debut albums. Ne Obliviscaris and Into The Silence last year, and now, a little known band from Canada called Pomegranate Tiger. As obscure as it sounds, if their release Entities is anything to go by, we have discovered an epic act that merges styles of progressive, djent and metalcore, all in the form of brilliant instrumental music. The song writing is crisp, not a single idea seems out-of-place or lost as seen to be the case with most progressive acts. Each riff has been carefully placed and repeated just enough number of times to captivate the listener, yet not bore you in the process. The strongest tracks off the album have got to be Stars and Sign of Ruin. The former is a perfect embodiment of everything the band hopes to do. Major scale intro that reminds you of Between the Buried and Me’s Prequel to The Sequel, followed by an Animals As Leaders djent-esque sound laced with riff work that almost fools you into thinking you’re listening to Scale The Summit, while sounding true to itself without looking like a cover band of sorts. Having said that, this isn’t a perfect album. It took a few listens to fully appreciate all the tracks, something which the opening few songs didn’t fully require. There is an interlude where you hear a piano playing arpeggio after arpeggio which didn’t really seem necessary and breaks the flow of the rest of the album. Add to it, I feel that Sign of Ruin is really where the album should have ended, and the last track doesn’t seem to gel well with the other tracks. All in all though, I highly recommend listening to Entities for its a strong debut album from a band that sounds as unique as its name, definitely an act earmarked for great things in the future. Whoever said that you need a kickass name to start a band has got it all wrong (and on that note, dibs on the name “Jackfruit Ostrich”). I can’t find anything wrong with this album, it’s technically proficient. I agree that it should have ended at Sign of Ruin. I understand your perspective but I would rate it 4/5 definitely!